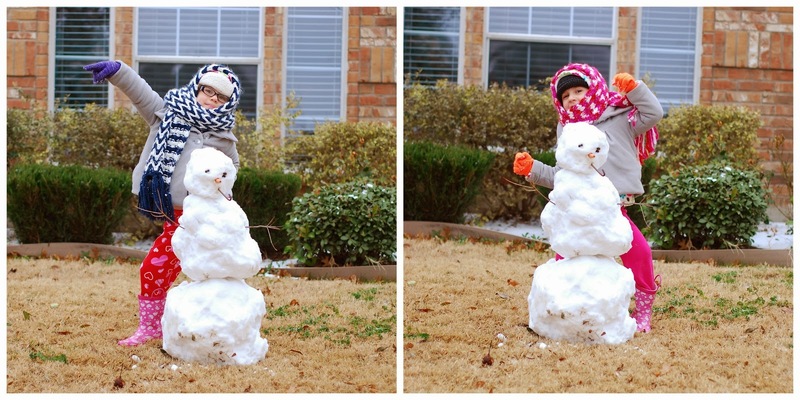 better than i could have imagined: do you wanna build a snowman? So we got quite a bit of snow on Thursday. 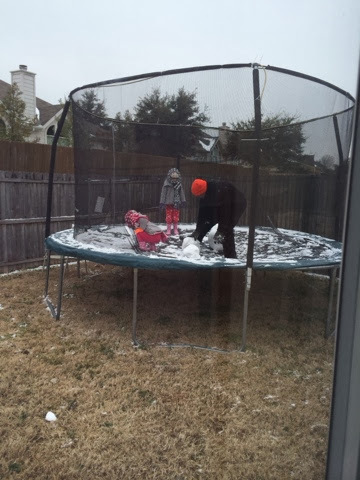 And while we went out and played for a bit....the snow was way too powdery and not sticky enough to build a snowman. On Friday, the snow began to melt, but I don't think we realized just how much had melted until after we got the girls all bundled up and walked outside later that afternoon. But never fear! The trampoline is near! **And on a side note....it really does look kind of funny to have this snowman and hardly a flake anywhere else in the yard. 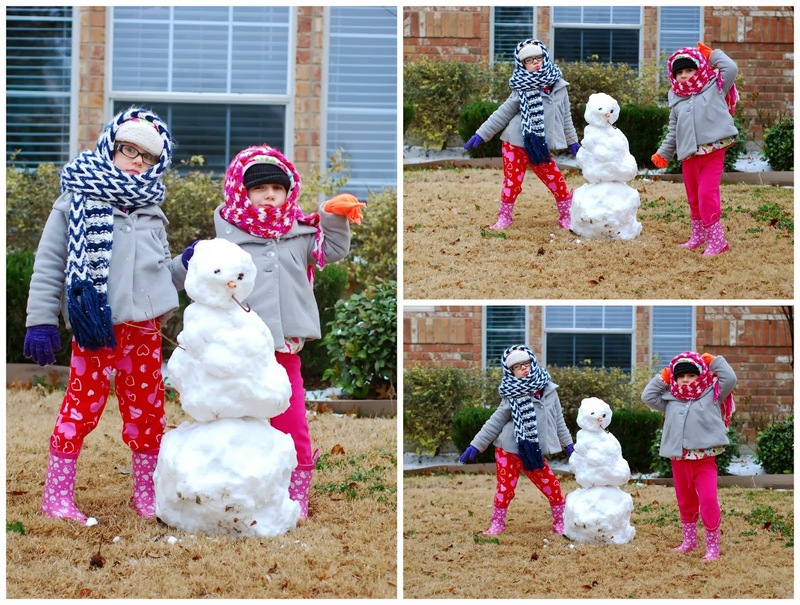 But glad they were ultimately able to build their snowman! Priceless! Great job and great memories!